Hydrating Shampoo 2 is designed to strengthen and condition damaged hair. Leaves your hair feeling soft, smooth, and healthy. This sulfate-free shampoo with natural botanicals can also be used as a whole-body cleanser! 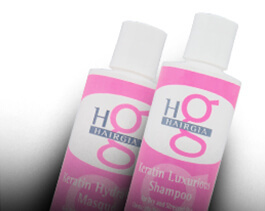 Hydrating Shampoo 2 is a specially formulated conditioning shampoo made for dry, damaged or chemically treated hair. Made with natural botanicals such as aloe vera, evening primrose, and ginseng, HairGia’s Hydrating Shampoo moisturizes dry hair and restores it to a healthy state. Follow your shampoo with our Daily Hydrating Conditioner for ultimate shine. DIRECTIONS: Shampoo thoroughly with desired amount of Hydrating Shampoo 2. 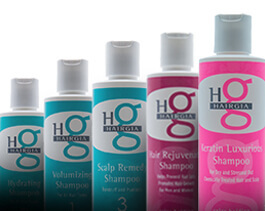 Rinse your hair and then follow with HairGia Hydrating Conditioner. We suggest applying a small amount of our Saharan Liquid Gold Argan Oil to your damp hair before styling for a frizz-free style that lasts all day. We are committed to producing only the highest quality hair care products with rich, natural ingredients. Our sulfate-free products are tested by our own HairGia family, ensuring that they are of the best quality and provide optimal results. Our products are Earth-friendly and gentle enough to use everyday. Do you have questions, comments, or concerns? We love feedback from our wonderful customers! Please contact us online!